One of the more contentious issues in Ozzy Osbourne’s career may have finally been laid to rest with the release of a pair of reissues on Sony Legacy — Diary of a Madman and Blizzard of Ozz. The story starts shortly before the release of Diary in 1981, when bassist Bob Daisley and drummer Lee Kerslake were fired from the Ozzy band and replaced by bassist Rudy Sarzo (Quiet Riot, Whitesnake) and drummer Tommy Aldridge (Black Oak Arkansas, Gary Moore, Whitesnake). Not only did Sarzo and Aldridge replace the pair in the band, but also in the credits for Diary. Daisley and Kerslake successfully sued Jet Records in the mid-1980s to have their credits restored and to receive royalties from the records. Daisley even continued to work with Ozzy through 1991’s No More Tears, writing much of the lyrical content from Ozzy’s early career and playing bass on every record except 1986’s The Ultimate Sin — though he did write most of the lyrics on that one, as well. Fast forward to the late 1990s, when Daisley and Kerslake discover that Ozzy and his wife Sharon have purchased the publishing rights to those early albums, and they’re owed more royalties. They sue the Osbournes, who respond by removing their performances from the records and releasing new versions with bass and drums re-recorded by Rob Trujillo (Suicidal Tendencies, Metallica) and Mike Bordin (Faith No More). Most fans considered these recordings inferior and a slap in the face to the original musicians — particularly Daisley, who had been so instrumental in the success of the first six studio records of Ozzy’s solo career. Now, the Osbourne camp has finally made things right with Daisley and Kerslake, as well as fans of the two records, by restoring the original recordings for these two editions. Both feature the original albums remastered along with some bonus material. 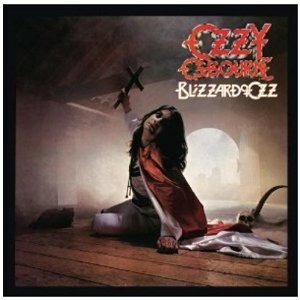 We’ll start with Ozzy’s solo debut, 1980’s Blizzard of Ozz, since it’s the closest to its original format. The record features some of Ozzy’s best-known songs, including “I Don’t Know,” “Mr. 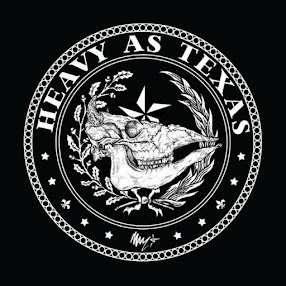 Crowley” and perhaps his most recognizable solo hit, “Crazy Train.” It also features one of my personal favorite guitar instrumentals, Randy Rhoads’ neo-classical jaunt, “Dee.” There’s nothing drastic in the remastering of the songs. For the most part, the songs are just a little bit crisper than the originals and perhaps fittingly, the bottom end featuring Daisley and Kerslake is beefed up a bit for the performances. The most noticeable difference is on the song “Suicide Solution,” where Rhoads’ opening guitar riff seems to be just a little more cutting and the echoes on Ozzy’s vocals are played up a little more than on the original. Overall, it sounds great. The bonus material on the Blizzard Expanded Edition consists of the non-album b-side “You Looking at Me, Looking at You,” a different take on the ballad “Goodbye to Romance” and “RR,” a Rhoads studio outtake. The b-side is just as awkward as its title. It’s more of an arena-rock number, and is more commercial-sounding than anything featured on the original record. There was a reason it didn’t make the final cut. Given the situation with this record, the 2010 vocal-and-guitar-only mix of “Goodbye to Romance,” which drops the drums and bass, seems a little strange, but it’s not bad at all. Ozzy’s vocals, in places, sound better on this version than the original, which is surprising given the quality of his vocals in recent years. Guitar aficionados will be most interested in the all-too-brief “RR,” which features about a minute and 15 seconds of Rhoads shredding away in the studio. It’s a nice little blast, but will leave Rhoads’ fans wanting more. The reissue of 1981’s Diary of a Madman, a two-disc Legacy Edition set, brings a little more to the table. Like Blizzard of Ozz, it features the original record remastered, but it adds a second disc featuring a full live performance from the Blizzard tour. 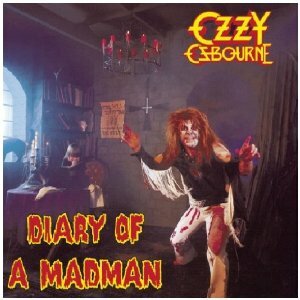 In my opinion, Diary of a Madman is Ozzy’s finest hour outside of Black Sabbath. While his debut had a few duds — “No Bone Movies” comes immediately to mind, and though it may seem like sacrilege to some fans, I’ve never liked “Revelation (Mother Earth),” either — Diary is a far more consistent record from beginning to end, and there’s not a single track that I skip every listen. It rips out of the gate with the galloping “Over the Mountain,” which features one of my favorite Rhoads guitar solos. There’s the trippy rock anthem “Flying High Again,” that memorable marching bass line of “Believer,” and of course, the classic title track, which shows Rhoads’ neo-classical style beginning to blossom. The title track gets the best of the remaster treatment as the acoustic guitars on it ring and chime just a little more than on the original. The record has always been a little bittersweet for me because it shows so much promise for what Rhoads could become, and then that promise was cut short. Still, it’s a fantastic record, and it’s never sounded better. The second disc was recorded live shortly after the dismissal of Daisley and Kerslake, with Sarzo and Aldridge, a powerful rhythm section in their own right, in the picture. It’s a blistering set, featuring mostly songs from Blizzard of Ozz — “I Don’t Know,” “Crazy Train,” “Mr. Crowley,” “Revelation (Mother Earth)” “Steal Away (The Night)” and “Suicide Solution.” There are also early performances of a couple of songs from Diary of a Madman, including “Flying High Again” and “Believer,” which features Sarzo with that big bass line I mentioned earlier. It’s a nice thing to inherit. Ozzy closes the set with some Sabbath, his usual abridged version of “Iron Man,” leading into “Children of the Grave” and finishing the night with “Paranoid,” which remains his regular closer even today. Granted, there’s nothing on this disc that we haven’t already heard on Tribute or any of the many live Ozzy albums over the years, but it does showcase a band in its prime. And what real fan can pass up a previously unreleased live Ozzy recording with Rhoads on guitar? So the ultimate question for us long-time Ozzy fans who have already bought both of these albums at least three times over the years is, should I drop another 25 or 30 bucks for yet another version of both of them? The answer probably lies in how big a fan or how much of an audiophile you are. The remasters both sound great, better than they ever have. That said, if you already own the 1995 remasters, which also feature the original Daisley/Kerslake recordings, the sound difference is not drastic enough to warrant a repurchase on those grounds alone. Though the new mix of “Goodbye to Romance” and “RR” are nice additions, the extras on Blizzard also really don’t have enough dazzle to make it a must-buy. Diary is another story, though. For me, another early 1980s live set with Rhoads is absolutely worth the price of the new edition, which goes for about the same cost as a single CD. If you only own the original mixes or the records with the re-recorded tracks, though, this pair of reissues is certainly worth every penny. They’re a great improvement over both of those versions. After a string of disappointing records late in his career, it’s nice to finally buy something from Ozzy again and be completely satisfied — even if it is songs I’ve been listening to for close to 30 years. This time he’s done right by his former band members, and his fans.